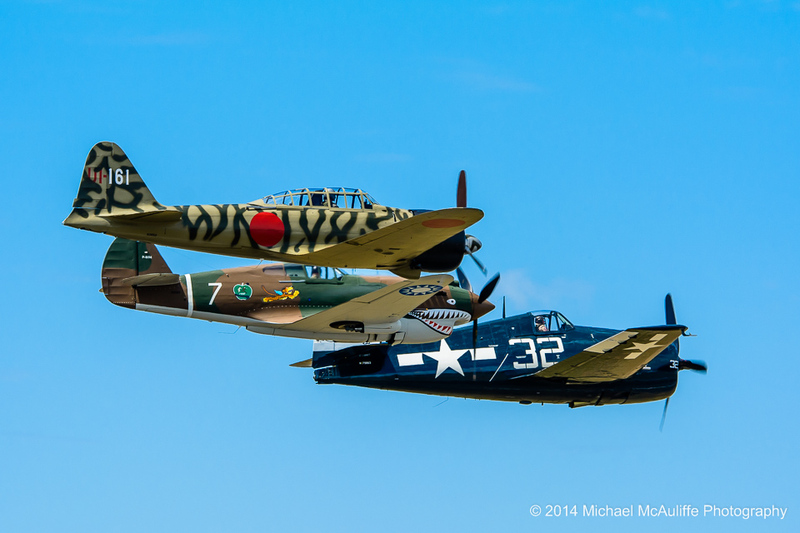 This page features some of my photographs of my favorite World War II era aircraft. 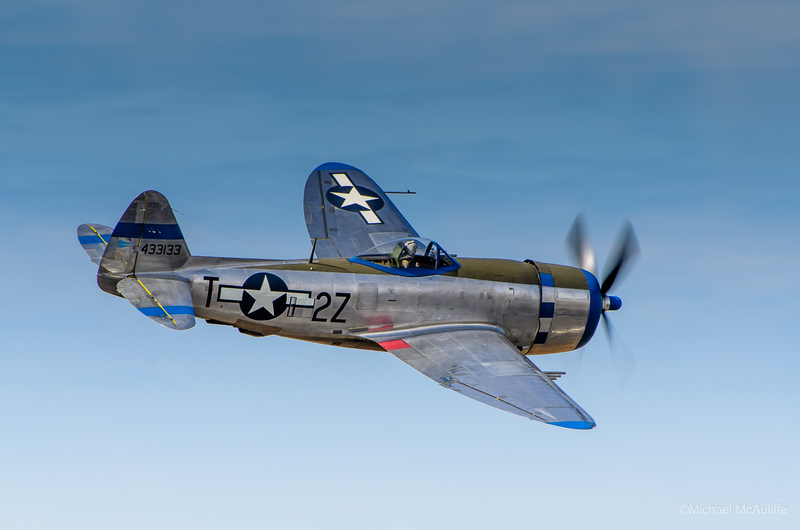 Photographing vintage military aircraft, especially planes that are still flying, is fun, challenging and rewarding photography. 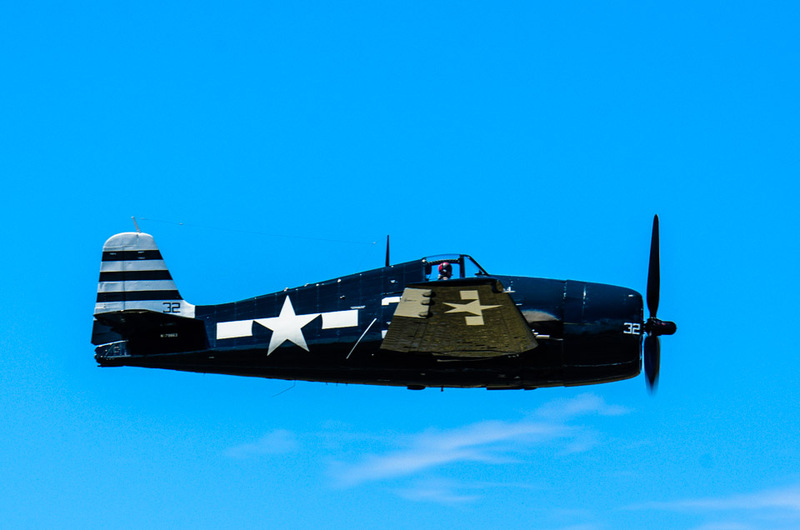 The unmistakable throaty growl and rumble of Rolls-Royce, Allison and Pratt & Whitney piston airplane engines instantly take you back over 70 years–to the early days of aviation when propellers and pistons, not jet engines, ruled the sky. 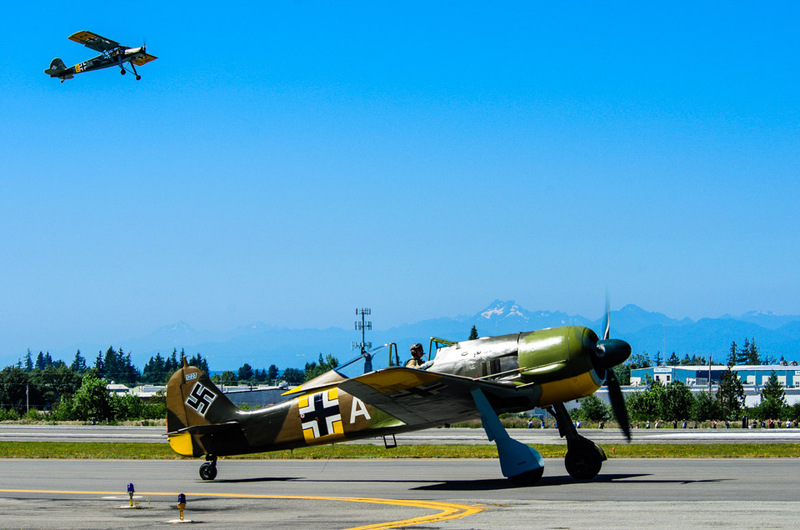 Aviation museums and airshows are great places to see and photograph these beautifully restored icons of aviation history. 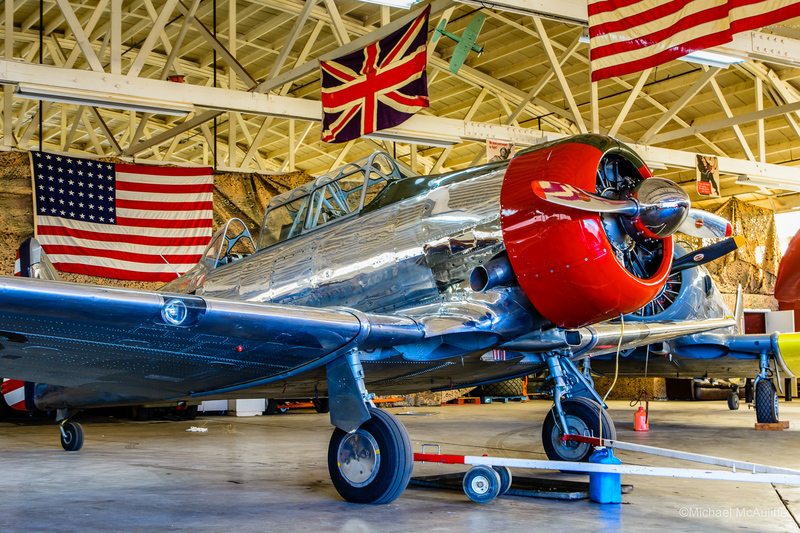 Photographing historical aircraft also preserves them for future generations to see, and makes the planes available to larger audiences. 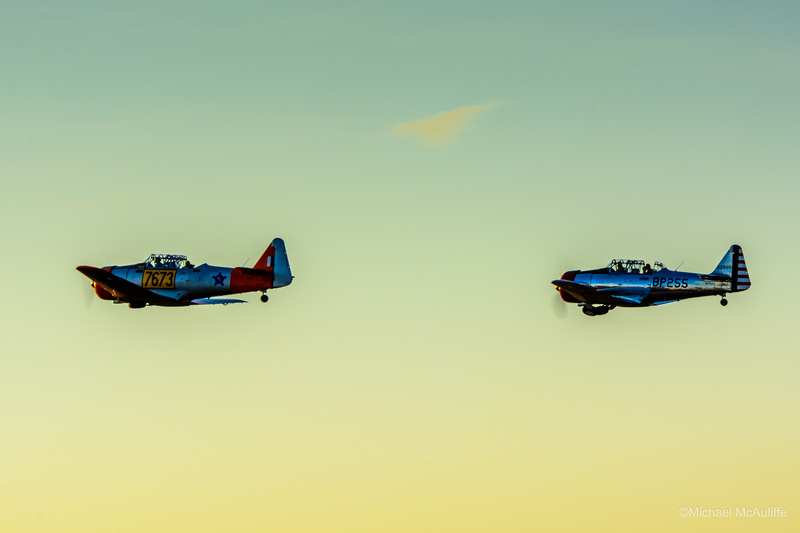 People who can’t physically go where the aircraft are displayed or flown can at least appreciate them virtually, and that’s a big part of what motivates my aviation photography–sharing the thrill and enjoyment that I get from photographing vintage warbirds with other airplane lovers. 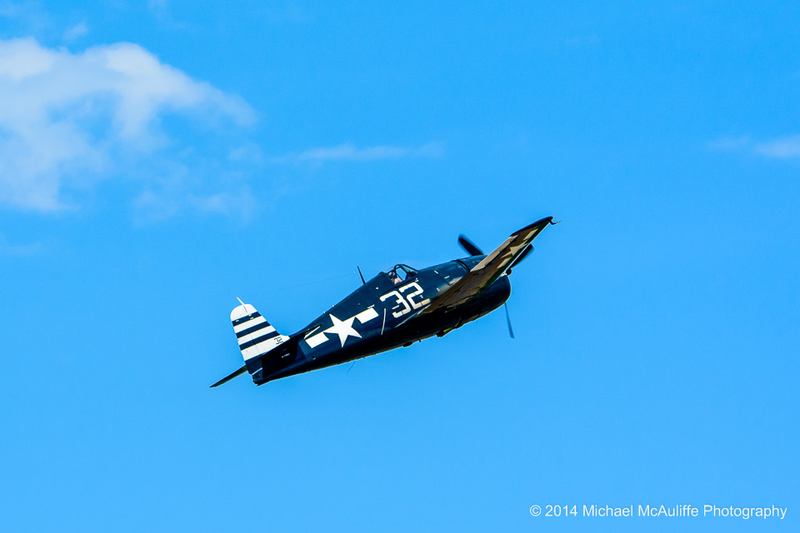 It also doesn’t hurt that these planes make unbelievable photo subjects. 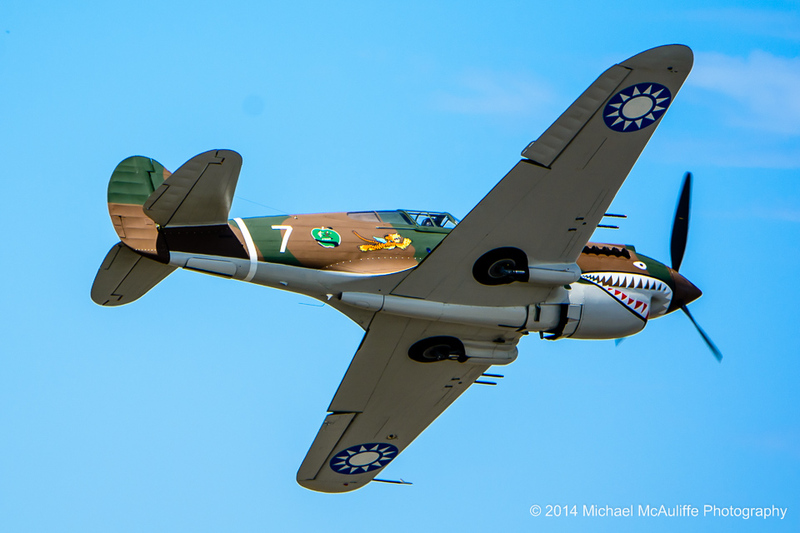 With their polished aluminum fuselages, varied and distinctive paint schemes, markings and nose art, and exquisite lines and shapes, it’s hard to find more interesting subjects. 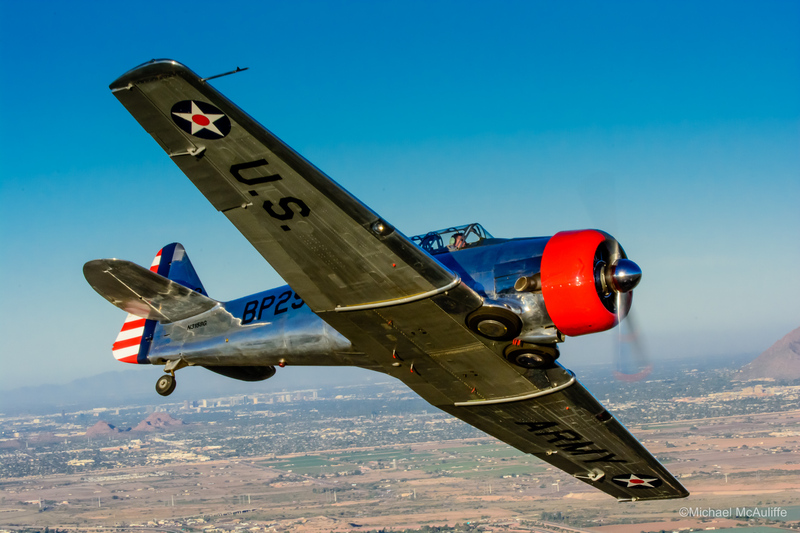 These photographs are of a North American Aviation AT-6 Texan flying out of Falcon Field in Mesa, Arizona. 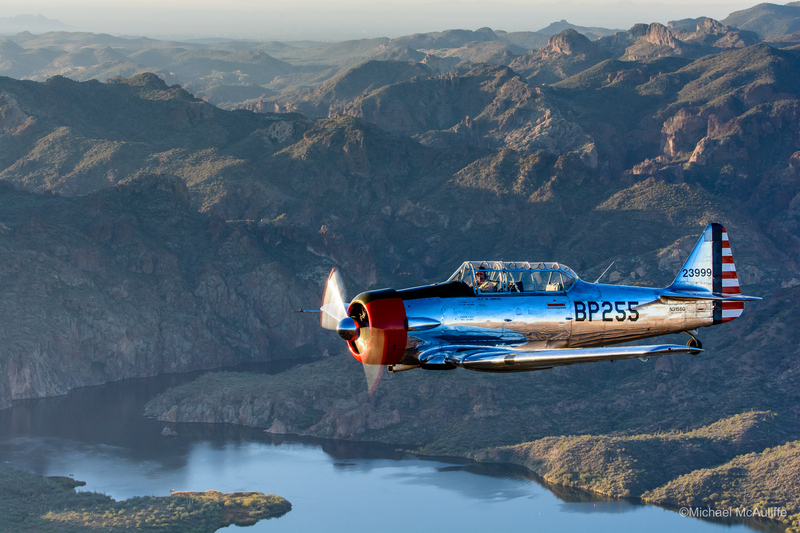 The photos were taken from the rear cockpit of another Texan during an air-to-air photography shoot. 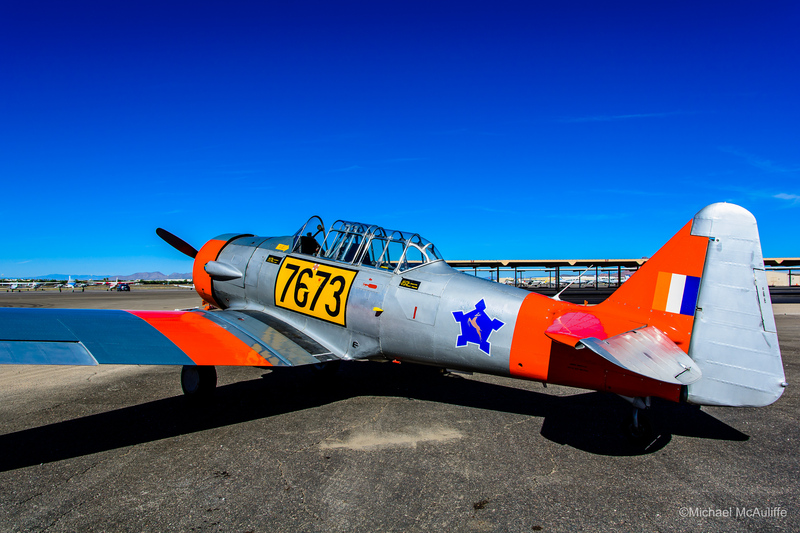 The AT-6 is the best known and most prolific (over 20,000 were built) “advanced” World War II trainer. 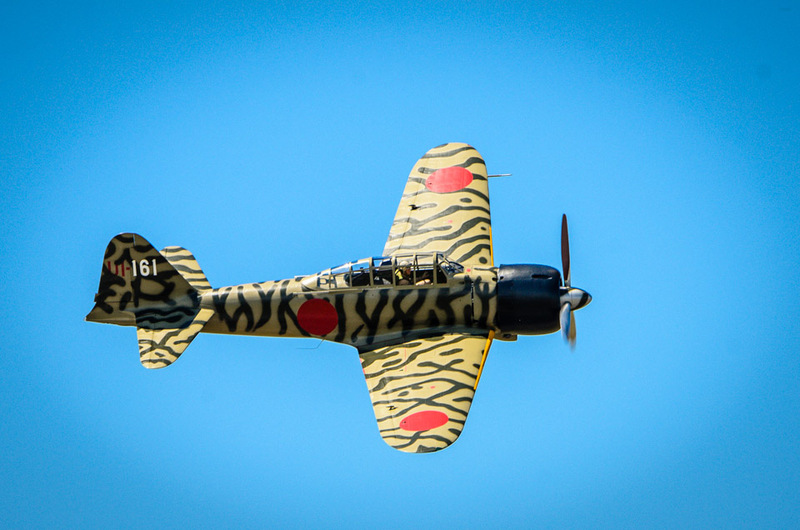 After completing “primary” training in planes like the Boeing PT-17 Stearman, student pilots would graduate to Texans to learn to fly fighters. During World War II, Falcon Field was a training base for British student pilots who attended No. 4 British Flying Training School (BFTS) that was operated at the field by Southwest Airways. 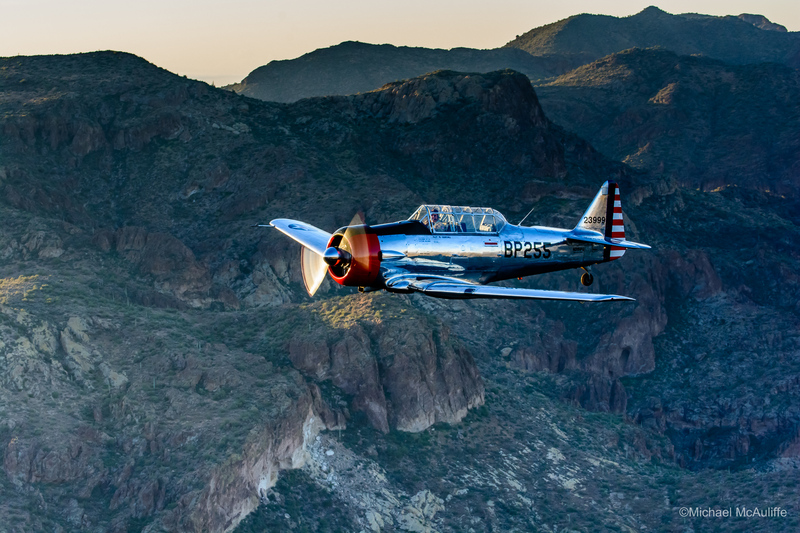 Pilot training was quicker and more effective in Arizona where the weather and visibility were much better and there weren’t any German fighters trying to shoot the cadets out of the sky like their would be over England. 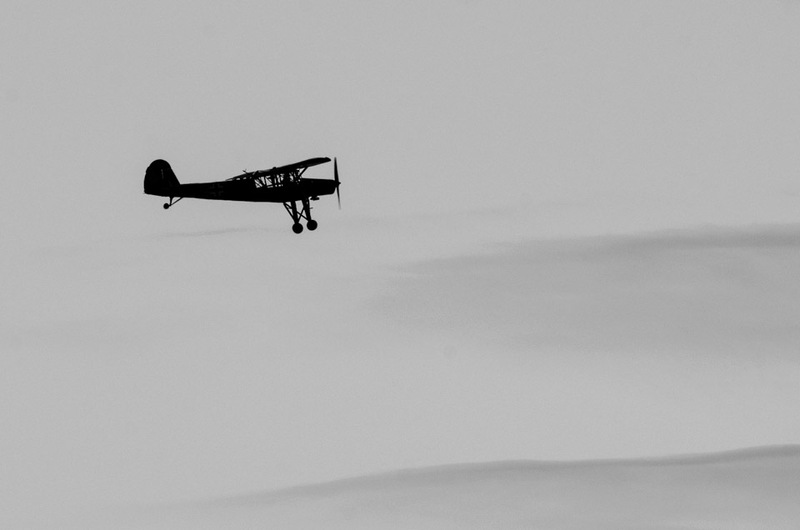 2,400 British pilots were trained at Falcon Field over the course of the war. 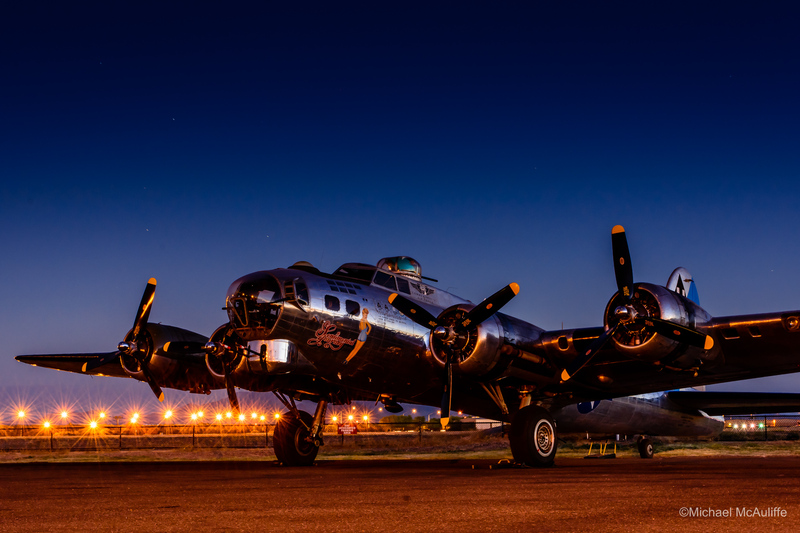 Sentimental Journey is a B-17G that is on display at the Commemorative Air Force Airbase Arizona museum in Mesa, Arizona. 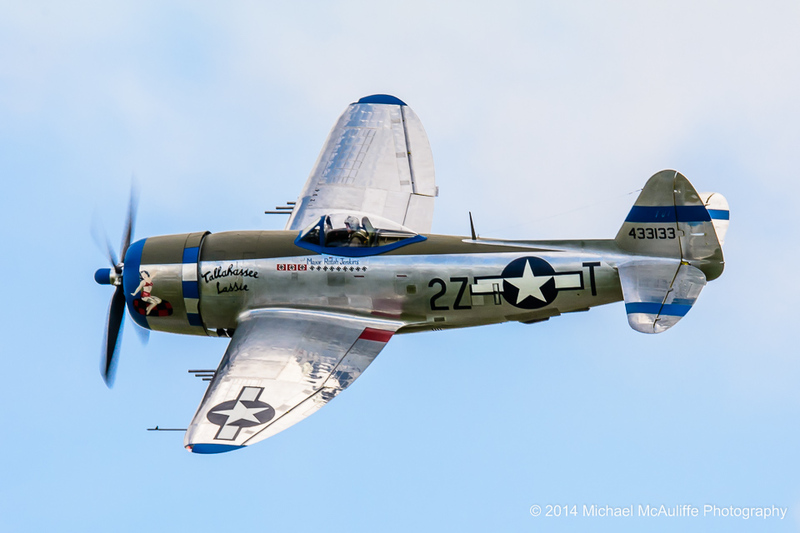 It is a beautiful, still flying, example of the most well known World War II four-engine heavy bomber. 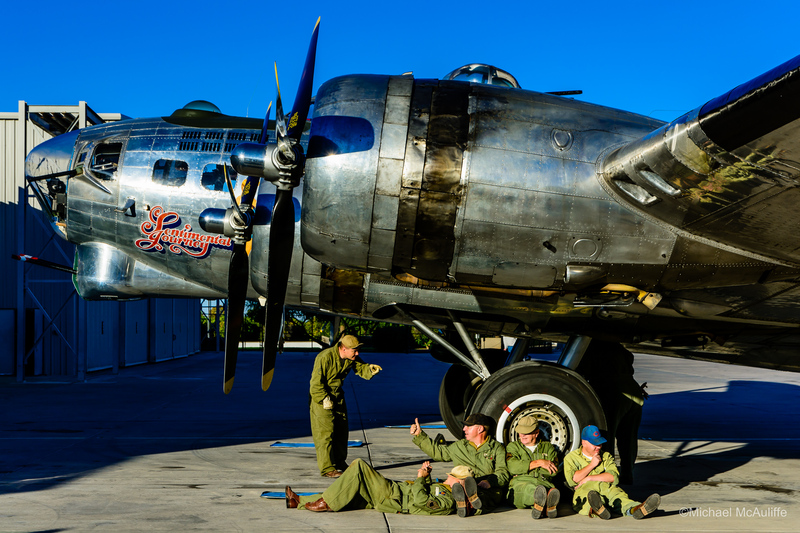 The Arizona Ground Crew keeps WW II aviation history alive by portraying and remembering the ground crews who supported Allied aircraft during the 1940s and before. 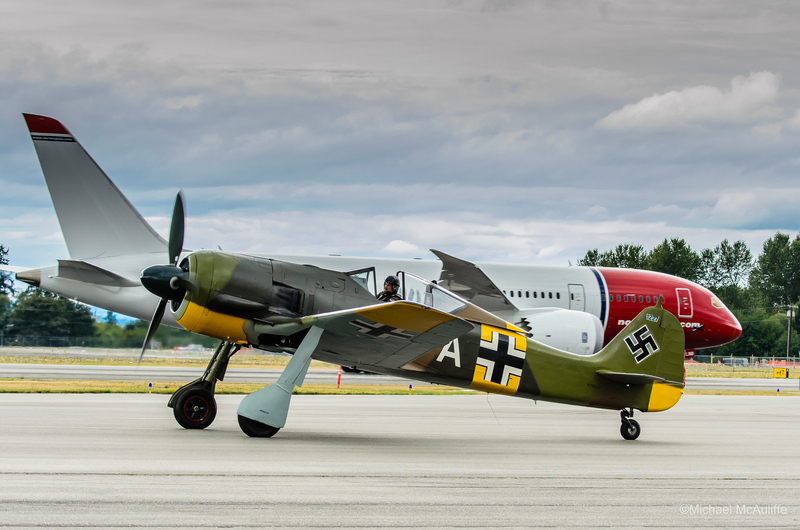 70 Years of Aviation History – Focke Wulf Fw 190 A-5 (1941) and Boeing 787 Dreamliner (2011) at Paine Field in Everett, Washington. 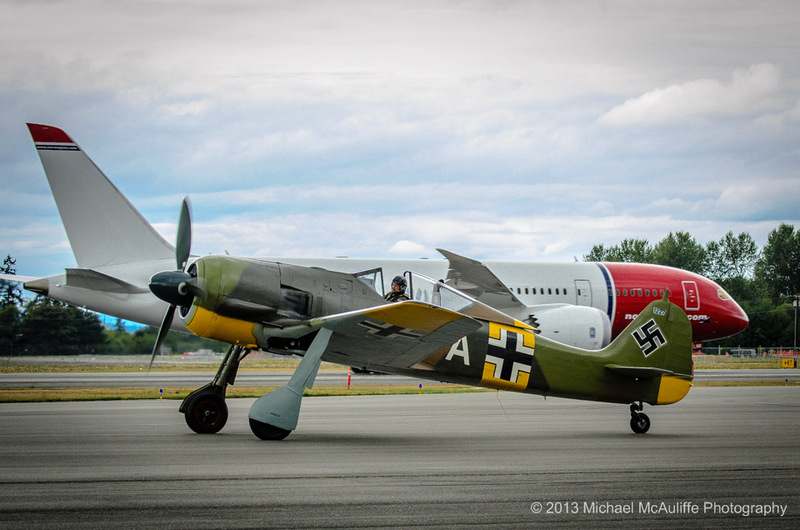 A collection of photos of aircraft from Paul Allen’s Flying Heritage Collection museum located at Paine Field in Everett, Washington.